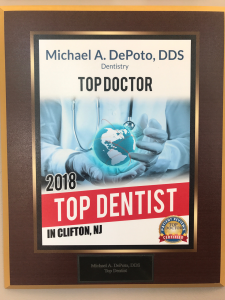 Congratulations to Dr. De Poto on being awarded one of 2018’s Top Dentists in Clifton, NJ. He is delighted to have been elected by a group of his peers to be part of this selected group. It is a well-deserved honor for a caring and conscientious doctor.